The majority of Baobab species occur in Africa with six of these species found in Madagascar and two in parts of mainland Africa. Stretching from East Africa to parts of Mauritius, the Baobab tells the history of each region it graces. 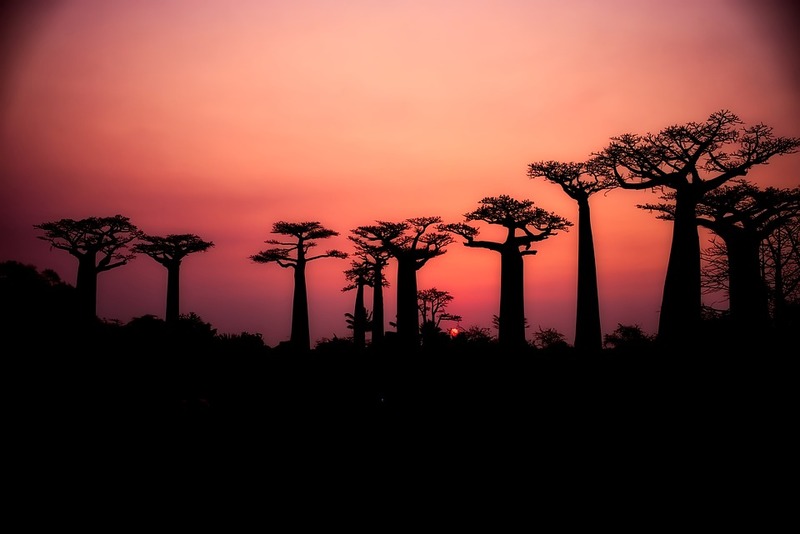 Carbon-dating of some of these huge trees reveals the Baobab’s long life. While there is much speculation about the Baobab’s true age, scientists argue that a tree with the height of 10 metres could be as old as 2000 years! Specimens in South Africa and Madagascar are some of the biggest and oldest Baobabs in the world. In the warm region of Limpopo, South Africa, the oldest living tree stood at a record-breaking 40 metres in width and 22 metres high. Fondly referred to as the Sunland Baobab, this famous tree has drawn crowds from all over the world, each one intent on witnessing this spectacle of nature for themselves. Having split in two hundreds of years, this enormous tree began to hollow out as it reached its staggering age, creating a multitude of caverns and crannies where animals sought refuge and shade from the heat of the day. Sadly, the majestic Sunland Baobab died in April 2017, having lived approximately 1600 years, a fate met with regional sadness. 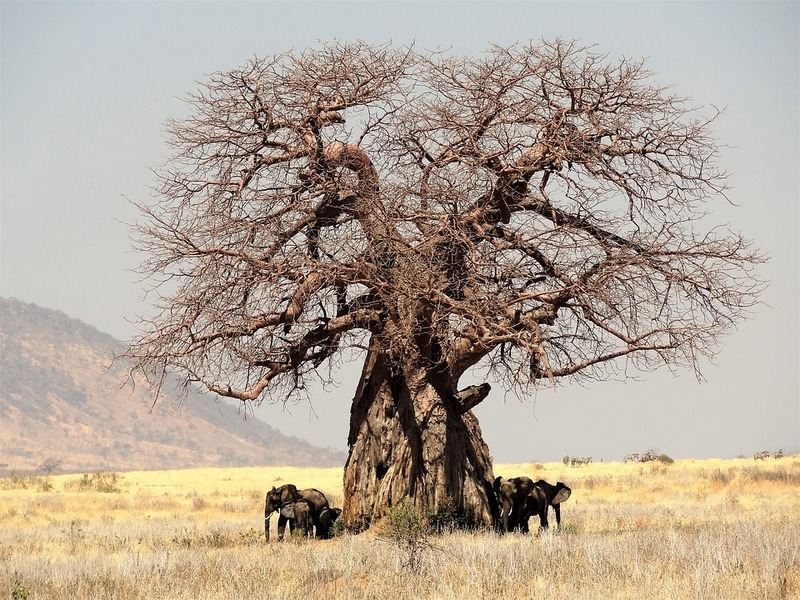 The Baobab tree can take credit for being a rather resilient gift of nature as it can withstand climatic change, bushfires and the modern threats of deforestation. It’s inherent vitality is only compromised by cold conditions, as botanists discovered when they attempted to grow the Baobab tree in England in 1740. A Baobab that is cut down will continue to sprout once again,making it the phoenix of the African plains. 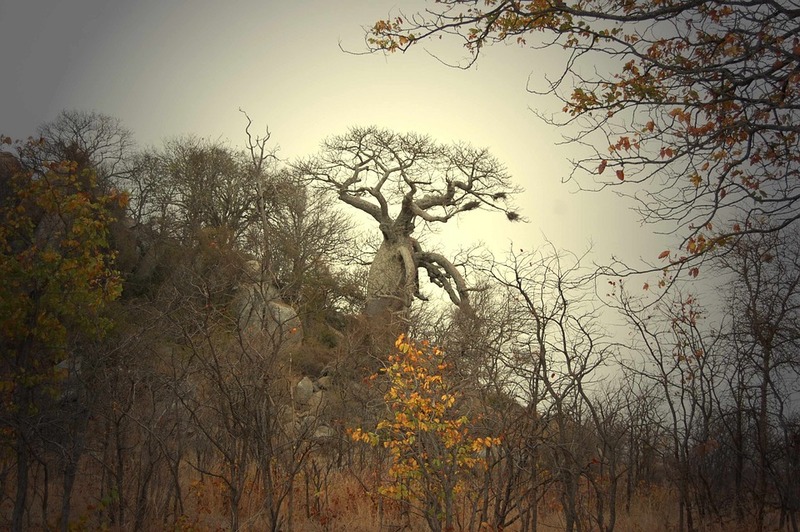 This encouraged the belief that the Baobab never dies, but simply disappears. While we know this isn’t true, the thought of an everlasting and life-giving tree is the stuff of legends. Many of Africa’s tribal groups regard the Baobab as having medicinal properties that can cure asthma, skin allergies and even kidney disease. Both modern and ancient healers would strip the fibrous bark from the Baobab for clothing and other handy materials such as rope. While most people have never seen the Baobab in full bloom, this tree blossoms with fruits and flowers every nine months. Both the seeds and flowers are consumed by humans and animals, providing a source of food during droughts. Moreover, the Baobab’s bark provides a source of moisture for many mammals during hard times. Elephants and rhinos looking for a scratching post will find the Baobab helpful here too. As a refuge from predators for bats, birds and rodents, the Baobab truly is Africa’s life giver. Researchers that analysed the Baobab’s fruit discovered that it contains four times more vitamin C than an orange, six times more potassium than a banana and twice as much magnesium than an avocado and more calcium than milk. When on safari in Africa don't forget to take a photo while standing next to this mysteriously huge tree before you leave.